Truck drivers are not the best judges at diagnosing their own sleep apnea, a new study reports. Research showed that self-diagnosis and symptom reports fell far short of determining sleep apnea when compared to home testing. Only 4 percent of 517 commercial vehicle drivers in Australia reported an earlier diagnosis of sleep apnea. The study found another 41 percent when drivers were tested with home monitors. Obstructive sleep apnea (OSA) has been associated with a higher risk of motor vehicle crashes. In December, the Federal Motor Carrier Safety Administration (FMCSA) announced new rules for the maximum hours of work per shift and mandatory rest periods for truck drivers. The FMCSA reduced by 12 hours the maximum number of hours a truck driver. Truck drivers also were mandated a break of at least 30 minutes after every eight hours worked. 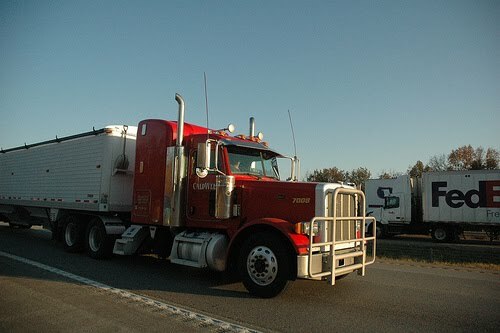 The truckers in the Australian study worked an average of 65 hours a week. When surveyed, 40 percent of the drivers said they had trouble staying awake while driving in the last month. Of the commercial operators diagnosed with sleep apnea, less than half used continuous positive airway pressure (CPAP) therapy. CPAP is the first-line treatment for sleep apnea. The study appears in the April edition of the journal SLEEP. Visit the Your Sleep website to find out if you are at risk for sleep apnea. Get help for sleep apnea at an AASM-accredited sleep center.